Struggling to play parlour guitar without overbending wrist- advice? Hello! Recently got back into playing guitar (I'm still a beginner) and so bought a parlour guitar (Gretch G9500 Jim Dandy) the other day. But after some playing I've realised playing scales close to the guitar body mean i have to bend my arm in to my body and really have to strain to bend my wrist and keep it at pretty much 90 degrees! Has anyone got any advice for how I could still be able to keep the guitar? Or is it a lost cause? Re: Struggling to play parlour guitar without overbending wrist- advice? 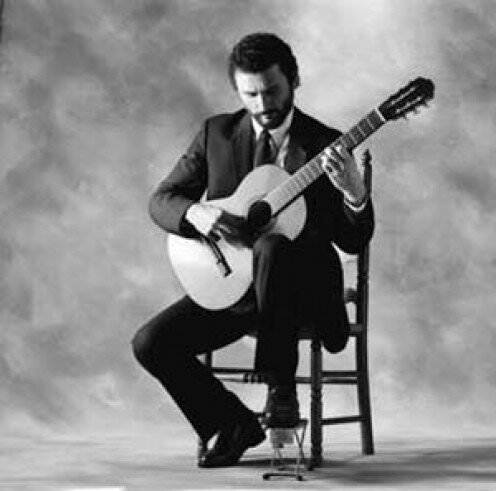 When I play seated, I use a "classical" position (even with a steel string acoustic): guitar in between my legs, neck angled up, et cetera. Probably the position you mention as not looking cool. But I find it more comfortable and it works better for me. I love my acoustic guitars, and would love to have a Jim Dandy to thump on when I'm sitting in my aero gravity recliner, but neither would be my choice of guitar for practicing scales. If you have an electric guitar go with it for learning/practicing scales. If you don't have an electric, get one, they can be had for cheap. I would have been so far ahead of the game by now if my first guitar had been a tele. A carpenter never blames his hammer, he gets the right hammer for the job. I've realised playing scales close to the guitar body mean i have to bend my arm in to my body and really have to strain to bend my wrist and keep it at pretty much 90 degrees! Hello lidwig, welcome to the forum. 1st - you're a self-proclaimed beginner. Have you done the decent thing and looked at Justin's Beginner Course to make sure you have the basics all sorted, all gaps filled, all key essentials tight and all skills and techniques to your level learned? Have you learned to play songs from beginning to end, at tempo, to build up the start of a repertoire? 2nd - you're a self-proclaimed beginner. What scales are you learning / playing high up the neck? You're not exactly moving in beginner territory there. And for playing scales you arm / hand / wrist do adopt different positions to when playing open chords. But that will come to you in good time when the time is right. 3rd - it is hard to visualise your actual physical problem. Are you sitting on a floppy-cushion sofa? A hard chair? A chair with arms? Standing? Your fretting arm elbow should be free and not tucked in to your body. Your wrist should never be cocked at an angle that causes pain.